What homes and lots are currently available? Does the Future Center serve students at Aquinas and Luther high schools? Yes! While we do not have a Future Center at these schools, we do serve those students who live in the School District of La Crosse and attend Aquinas and Luther. Luther Students: Call Hayley Moe at 608.789.2054 or contact hmoe@lacrossepromise.org. What is La Crosse Promise? La Crosse Promise is a non-profit organization working to economically transform La Crosse, Wis., and improve the quality of life for all citizens through a strong commitment to education. This transformation is taking place through a scholarship program for families that build, buy, or renovate a home in select La Crosse neighborhoods. 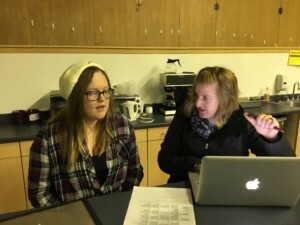 In addition, its Future Centers provide career guidance and post-secondary education planning for high school students in the School District of La Crosse to ensure their future career success. Would a home qualify if it was built or renovated by a developer but I am the first person to move in? Yes. A builder can purchase a lot or home and develop it. A family should make their offer to purchase this home contingent upon being accepted as a La Crosse Promise Family. Once their conditional offer to purchase has been accepted they can complete and submit their La Crosse Promise application. What types of properties are excluded in this phase of the program? Manufacturing and commercial properties are excluded, as are rental properties not being converted to owner occupied under the proposed construction activities. Do owner-occupied townhomes or condominiums qualify? Yes, in addition to owner-occupied, single family dwellings. Do I need to get pre-qualified for a loan first? The La Crosse Promise Neighborhood Scholarship Program is designed for any qualifying homeowners or home buyers who have the financial ability to renovate their current home, buy and renovate an existing house, or purchase a lot and build a new home. Your very first task is to visit a lender (here) to get pre-qualified. Practically speaking, you can expect to pay more than $175,000 to build a very simple home on a Promise lot, so make sure you qualify for a mortgage or before going too far into the process. This also is the case for buying a spec home and renovating a existing home. Once you have been pre-approved, we urge you to contact us if you need assistance. 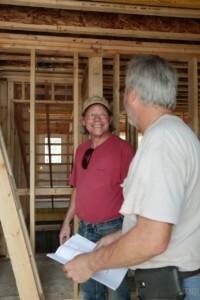 We have volunteers available with expertise in home construction, real estate, and design. Call us at 608.792.1137 or via email LPassistance.BJ@gmail.com. What role is the City playing in this? Where are the lots for new construction? The City of La Crosse is continually pursuing the purchase, demolition, and site preparation of lots throughout targeted neighborhoods. Going forward, the City has committed to partner with La Crosse Promise to ensure that lots are available for new La Crosse Promise Build Families and that these lots may be made available to families at a reduced rate. I already live in the city, and have a freshman and a sophomore in high school. Should I consider building a new home in order to help pay for their schooling? The oldest student who can benefit from this opportunity would need to reside in the new home prior to the beginning of 9th grade. If you feel your situation warrants an exception, please request an exception form from La Crosse Promise. What types of renovation improvements are recommended for existing homes? We encourage projects that preserve external historic characteristics, remove blighted appearances, are appropriate to the architectural features of the neighborhood, and improve the overall quality of housing stock. Exterior improvements (exterior painting, new windows, removal of blight) should be considered in the overall improvements planned. 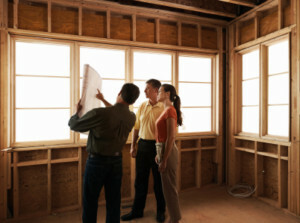 We strongly recommend that you discuss your proposed renovation with a reputable contractor, appraiser, and/or banker to determine which types of improvements are likely to increase your home’s value. One dollar spent is not necessarily equal to one dollar of increased value. Be aware that renovating an older property may involve expenses which do not directly contribute to the home’s market value. These important improvements may include: foundation repair/replacement, lead abatement, asbestos abatement, roof replacement, water/waste service repairs, etc. Homeowners should anticipate the need to address some of these improvements during a renovation, and should be aware that they may not increase the appraised value of the home. What is the purpose of the home appraisals? The La Crosse Promise application requires the participation of a lending institution. What if I want to self-finance my construction expenses? The success of this program depends on a unique partnership between families, lenders, title companies, and appraisers. This collaboration helps families make sensible decisions, provides donors with evidence that neighborhood home values are increasing, and assures La Crosse Promise that the project has been verified and completed in a timely fashion. In the rare instance that an interested party wishes to self-finance, a work plan will be created requiring the participation of appraisal and title companies, at the applicant’s expense. Appraisals must be conducted by an appraiser approved by a Powell-Poage-Hamilton-Washburn Lenders Consortium member. If I build or renovate a new home within this neighborhood but then outgrow it and move into a bigger house somewhere else in the city, do I still get the scholarship? You need to personally occupy the original La Crosse Promise home for at least four years. After that you may reside anywhere else within the City of La Crosse and not lose your scholarship, providing you abide by the other requirements. May I pass along the scholarship to the family that buys my house? 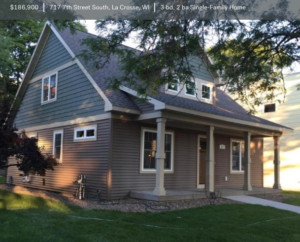 If the initial buyer of a La Crosse Promise home chooses to relocate to another area within ten years of occupancy, and prior to any scholarship funds being drawn, the occupant may surrender their scholarship back to La Crosse Promise. The home may be listed as “Promise Eligible.” The home’s next buyer then has the option of applying to La Crosse Promise for that home’s scholarship. This privilege is only offered to the first occupant of the home. What is the maximum number of scholarships I can use for my household? Each La Crosse Promise Family is permitted a maximum lifetime scholarship amount of $50,000 to be distributed among dependents however the family chooses, providing that no one student receives more than $25,000. What if my new home is destroyed (by fire, storm damage, etc.) and we are required to rent or move out of the district for a time? An appeals board will review special circumstances. What if I build or renovate two or three homes in these neighborhoods over the course of my life? Do I receive a family benefit of $50,000 each time I do it? No. The maximum amount any one family can receive is $50,000 over a lifetime, no matter how many homes you build or renovate. Can a parent or older adult receive a La Crosse Promise Scholarship? Beginning in 2016, the La Crosse Promise Scholarship is now available for adult learners who are on the deed of a La Crosse Promise home. View our policies on this page. What if I home school my child? One of the purposes of La Crosse Promise is to increase enrollment in the School District of La Crosse. Only accredited high school diplomas from the above mentioned schools would qualify a child for La Crosse Promise Scholarship eligibility. If a qualifying parent chooses to home school their child up to grade 8, and enroll their child in one of the approved schools in grade 9, the child would be eligible. If I transfer colleges, will I still be able to use the La Crosse Promise Scholarship? Yes. You remain eligible to use your scholarship as long as you attend any of the program-eligible colleges, complete the FAFSA each year, and maintain satisfactory academic progress as required by that institution. You may transfer from one of the eligible Wisconsin colleges to another without affecting your eligibility. What is the FAFSA? Why do I need to file prior to each year of college? The Free Application for Federal Student Aid (FAFSA) is a form that must be completed to receive federal loans, grants, or work-study. The Future Center staff can assist families with completing this form. It is unlikely that the La Crosse Promise Scholarship will cover your entire cost of education. La Crosse Promise wants to help you maximize the amount of grant aid or scholarships you can receive from other sources so you graduate with little or no debt. Your family’s income will not influence your eligibility to receive the La Crosse Promise Scholarship. However, your family income and the La Crosse Promise Scholarship may affect the amount of other financial aid that you may receive. How do I apply for the La Crosse Promise Scholarship? Purchase Lot: Purchase a lot, receive approval for a construction loan and have approved plans for the new structure that will be valued at least $150,000. Purchase New Home: Purchased (and closed on) a new home in the neighborhood that is valued at $150,000 or more. Proof of loan approval required. Renovation plans: Submit contractor bid for improvements of $30,000 or $60,000 for a home you own in the select neighborhoods. We recommend that you contact us to verify that the home qualifies for the scholarship. We cannot determine your eligibility to receive scholarship dollars prior to receiving an application. Once you submit an application, it will be reviewed for approval within 60 days. Additional requirements must be met in order to receive the scholarship distribution. View our guidelines and policies for more information. Why is La Crosse Promise part of the solution? Together, we work with the City, the County and the School District of La Crosse to make our region a better place for all of us.